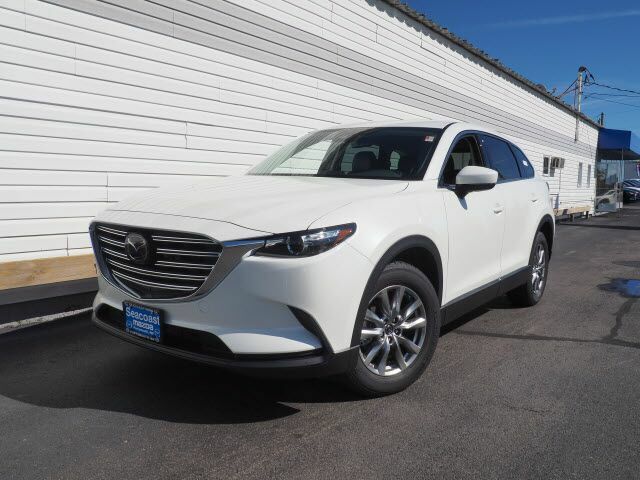 Don't miss out on this 2019 Mazda CX-9 Touring! It comes with a rear air conditioning, push button start, backup camera, blind spot sensors, Bluetooth, braking assist, dual climate control, hill start assist, stability control, and traction control for an even better ride. We've got it for $38,325. Be sure of your safety with a crash test rating of 5 out of 5 stars. Complete with a timeless white exterior and a black interior, this vehicle is in high demand. Call and schedule your test drive today! Contact Information: Seacoast Mazda, 180 Spaulding Turnpike, Portsmouth, NH, 03801-3139, Phone: (603) 436-6811, E-mail: sales@seacoastmazda.com.